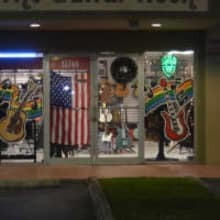 We are a family owned music store in North Miami Beach, Florida, offering new guitars and gear from Fender, Guild, Cordoba, Jackson, Gretsch, and many others. Our prices are completely competitive and our customer service is second to none. In addition to great guitars at great prices and superior customer service, we offer guitar lessons and repair services. Please note that our dealership agreements with Fender and others do not permit selling to or shipping outside the Continental United States. We sell and ship within the Continental United States only.